Do Trademark Owners Really Need to Fear a Facebook "Land Rush?" I've received a slew of e-mails from law firms and sources over the last few days regarding Facebook's announcement that, beginning at midnight EST on Saturday, it will allow "usernames" to be tacked on to the end of the Facebook URL to create personal URLs. In other words, John Smith could have his Facebook profile set up at www.facebook.com/johnsmith. This development is causing a minor freak-out among trademark lawyers, eager to reassure clients that they're on top of every occurrence in Internet-land. Morrison Foerster is one of several law firms that has quickly penned an advisory on "Protecting your Trademark From Facebook Username Abuse." One veteran IP lawyer from another firm wrote to me: "I think Facebook has a lot of chutzpah to do this on such short notice!" Facebook has set up a registration form for trademark owners, and a help center about the usernames feature that specifically addresses IP rights. Domain-name tycoons who look forward to a burgeoning new market in cyber-real estate are going to be disappointed—the usernames can't be sold or transferred once claimed. Seems that Facebook is trying to make this "land rush" as non-commercial as possible. So, for anyone concerned about controlling their trademarks on Facebook, let it not be said that you weren't warned here. The username feature goes live in just about eight hours as of this writing, at 9:01pm PST. But since Facebook "reserves the right to remove and/or reclaim any username at any time for any reason," and is publicizing trademark claim forms, it seems likely that even trademark owners who have their mark scooped up by a ne'er-do-well will be able to get them back, hopefully in short order. Sibling publication the National Law Journal reports that Facebook will have a grievance process to take down cyber-squatters. No, I mean, ah, 10:01pm. Yeah, I had the time wrong earlier. Log on at exactly 10:01pm Pacific time and you might beat me to the punch. Audrey Spangenberg sees her story as a straightforward David versus Goliath saga: as CEO of a small, struggling software business, she resents search giant Google selling ads that are triggered by users typing her company's trademarked name, Firepond, into the Google search box. "I was sitting around this one day, and I thought, I'm going to Google 'Firepond' and see what comes up," said Spangenberg. "I was blown away to see that one of the competitors was using my trademark as an ad word." After consulting a team of lawyers, she filed a lawsuit against Google on Monday that she hopes will become the first class action trademark claim against the company's practice of selling ads on trademarked keywords, a practice she hopes to stop. Spangenberg says her suit isn't about money, it's about respect for intellectual property. "I'm very troubled at Google's continued disregard for the trademarks of others," she says. "Unless we're a huge company like Google, our property isn't valuable?" That’s how Spangenberg framed the issue in an interview with IP Law & Business on Friday—and the way she framed it yesterday, when she told The New York Times that Google's policies made her "furious." But that version misses the byzantine backstory to this suit: Spangenberg and her husband Erich already sit atop a sizable fortune, won through intellectual property litigation. Since 2004, the Spangenbergs have moved patents purchased from various sources—including Firepond—through a complex network of shell companies set up in the small town of Marshall, Texas. In the last five years, these companies have filed dozens of patent lawsuits against hundreds of companies, most of them in Marshall or neighboring towns in the Eastern District of Texas, a venue considered friendly to patent plaintiffs—the same venue for the new class-action trademark suit. After more than a year on the IP beat, I had come to believe that we-own-the-Internet lawsuits were mainly the terrain of certain patent owners. But this month we saw the trademark owners step up, in the form of a major law firm protecting its intellectual property with a "permission to link" lawsuit. Jones Day, a megafirm with 2,100+ attorneys, has sued a small real estate news service for trademark infringement, dilution, and some related claims. The firm claims that by writing two stories about Jones Day associates who bought real estate, and linking to their firm bios, Blockshopper.com ignored the law firm's trademark rights. Last week, Public Citizen and EFF filed an amicus brief arguing that Internet hyperlinks do not a trademark infringement claim make. 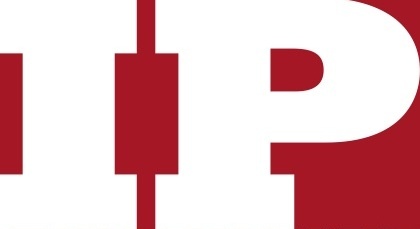 The Kilpatrick Stockton attorneys leading this putsch against parallelism revealed their legal theory in the July issue of IPLB ("Inside IP," not online). "No one goes into a Payless store, tries on a four-striped shoe, buys it, goes home, opens it, and says 'Oh my gosh, this isn't Adidas,'" Adidas lawyer William Brewster said. eBay has long fought to keep cyberspace clear of other websites ending in "bay," arguing that sites with "generic plus bay" names infringe its trademark. Most of these lawsuits haven't lasted long, as the defendants quickly settled. The online commerce giant recently concluded its longest and hardest-fought battle of the bunch, against an Orange County-based perfume retailer that, until recently, did business primarily at PerfumeBay.com. PerfumeBay.com disappeared from cyberspace last week, following a court order. [Order Amending Judgment, PDF] After losing to eBay in district court in C.D. Cal, Perfume Bay president Jacquelyn Tran started blogging her experiences while she appealed to the 9th circuit. That appeal resulted in a strong win for eBay, and Perfume Bay has now changed its name to Beauty Encounter. I first wrote about this case in October when I worked at the Daily Journal; a reprint of the story is available online. eBay was represented by Cooley Godward Kronish partner John Crittenden, who has shut down several other "generic plus bay" web sites, most recently CoinBay.biz; and earlier sites that were more "colorful," such as KinkyBay, BrickBay, and NaziBay. "Each one has its own amusing story, and the explanations have often been the same," Crittenden told me last year. "People have said, oh yeah, 'I have a dog named Bay'. Or, 'I meant a bay of water.' Well, what bay are you talking about? The explanations really don't hang together." Of course, I dutifully prepared a post titled "Monday Morning Trademark Notes" over the weekend, only to have the biggest trademark news of all strike... right after the post publishes. I'm referring, of course, to a French court's decision yesterday that eBay must pay $61 million to LVMH Moet Hennessy Louis Vuitton SA. We're still waiting for a decision on the Tiffany v. eBay case heard late last year in Manhattan. I have reason to believe a lot of folks are waiting on that verdict; I've noticed quite a few hits on my own blog by people searching for terms like "tiffany ebay verdict," despite the fact that I mentioned the Tiffany v. eBay case only once, quite briefly, in December. Dan Slater at the WSJ raises an interesting question: could the French ruling could be considered a "hometown verdict?" That's a question that could be asked in plenty of stateside IP disputes, as well. Viacom sued Google in Manhattan, not California; Tiffany's sued eBay in Manhattan. We're not talking about venue shopping; in both of those examples, plaintiffs sued in their home base. But still, it's interesting to think about what kind of hometown advantage can be reaped. If I were a big mark-holder, I'd like Manhattan. A Manhattan jury is likelier to have folks who, if they don't work for a big fashion brand themselves, might have a brother or aunt or half-sister's dog walker's buddy who is connected to such a company. Similarly, a Northern California jury is likely to have jurors with connections to technology workers. People in Los Angeles are more likely to sympathize with a movie studio. Maybe I'm stating the obvious here. But I live in San Francisco and spend a lot of time with family and friends in Los Angeles. Both of those regions have large and diversified economies. Despite that, it's surprising to me how much they can both feel, in a way, like "industry towns." Playing catch-up a bit after spending Thursday & Friday at the Federal Circuit Bench & Bar. Collective Brands, the company that owns PayLess ShoeSource and Stride-Rite, has settled a trademark infringement case brought by K-Swiss by paying $30 million; that comes on the heels of its massive loss last month. CNET worries about "domain chaos." Trademark lawyers will stay busy, but dot-com owners "have nothing to worry about," writes Domain Name Wire. The LA Times quotes one consultant saying that ICANN has been "hijacked" by the "domainers" who buy & sell web real estate. LAT also has my vote for cleverest headline: ".sky is the .limit." Much better than the newspapers that disappointed with headlines like "dot-personaltouch." IP Watch has some on-the-ground reportage from Paris. Johnson & Johnson v. American Red Cross: it's over. 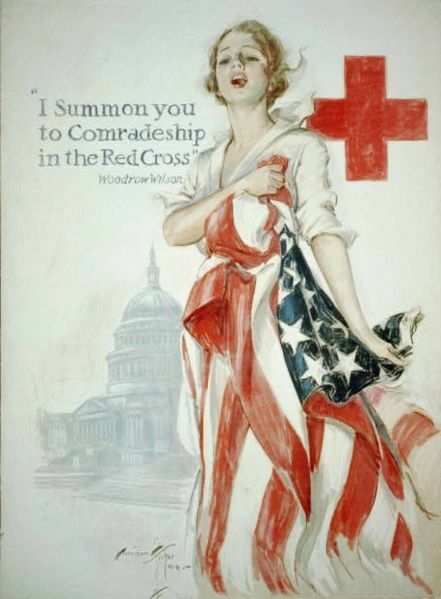 Last month, a federal judge killed off most of Johnson & Johnson's trademark infringement claims against the American Red Cross. This morning, the New York Times reports the case has settled. Terms are confidential but both companies can continue to use the cross symbol. Just watched Steven Colbert's "The Word" bit from last night — it's all about trademark infringement! The joke is about this story on how Major League Baseball is coming down on little leaguers for using official team names without licensing them. "You know what we call that in America? Stealing!" If you've been waiting for years to hear Steven Colbert make trademark infringement jokes... and some of you know you have... you might find it hilarious. I did. Memo to J&J — Remember not to sue charities. A federal judge in Manhattan has thrown out most of Johnson & Johnson's trademark claims against the American Red Cross, which started licensing various companies to sell medical products with its famous red cross logo in 2004. J&J said that violated their longtime exclusive agreement to use the red cross in commerce. J&J made a risky choice in pursuing this litigation at all. What could they possibly get out of it? The WSJ law blog reports that the entire Red Cross fundraising campaign in question only raised $10 million. Now J&J will get to enjoy the (predictable) result: dealing with the public relations fallout of their failed campaign to squeeze millions out of one of the world's most respected charities. One source at a litigation support company told me privately his people wouldn't touch this case with a stick. I can see why. It would take a heck of an expert to explain to a jury how this big mean charity ripped off this poor little international conglomerate. Who owns stripes? A German shoe company owns stripes. Another day, another 9-digit punishment for the loser of an intellectual property lawsuit. Adidas told a jury that not only do they own their own three stripes brand, but anyone who makes shoes with multiple parallel stripes is guilty of trademark infringement. Last week, adidas won a mammoth $305 million verdict that the loser, the parent company of Payless Shoes, is now begging to get out of. In court papers, Payless lawyers say that adidas' expert fed the jury bogus numbers, telling them that the illegally striped shoes accounted for 1.7 percent of Payless sales revenues but for more than 21 percent of profits over nine years—that would be triple the profit margin Payless earned on all other products. How do companies win cases like this? Surveys that try to establish consumer confusion. But even if consumers were confused, what were they confused about? Unless the shoes actually had fake "adidas" tags, it's hard for me to believe anyone was confused about the source of the product. And that's what trademarks are supposed to do—make sure consumers have reliable information about the source of a product or service. Collective Brands points out that none of the survey data proves that adidas lost even a single cent. Not only that, the massive verdict adds up to more than 15 times the profits that Collective Brands made on all the "infringing" shoes. The adidas "we-own-stripes" litigation campaign isn't limited to shoes; the German company has also sued companies like Nike, Ralph Lauren, and Abercrombie & Fitch, who have all dared to use stripes in their clothing. Citizens, you've been warned! If you want to use parallel stripes, call Adidas' trademark lawyers first. Google's feeling tough enough to fight its wars on two fronts when it comes to trademark law. As I mentioned below, our May issue includes a story about the Rescuecom v. Google lawsuit at the 2nd Circuit, where Google is looking for a big win; today, Slashdot points to this TV news story about how Google intends to allow U.K. advertisers to buy ads on trademarked keywords, as they already do in the U.S. Of course, some mark-holders already are threatening to sue, as several have in the U.S. (they've all either lost, or lost badly.) No word in this story on when Google will implement this new policy, or such changes are in the works anywhere else. Last month, I talked to Keker & Van Nest lawyer Michael Page, who is representing Google against Rescuecom in New York, and we talked about the differences between American & European trademark laws. "European trademark laws are very different beasts," says Page. "They really think of it as owning the words, and you can’t use them. American laws are about protecting consumers." Some of the European trademark decisions have been "very harsh," he notes. "Germany and France are very both anti-speech; it's a sort of thought control. eBay has lost a series of decisions... They can’t allow anyone to list for sale World War II or Nazi memorabilia anywhere. It’s a fairly hostile environment for commerce and speech." So, for example, it might be tougher for Georgia computer store owner Charles Smith to sell T-shirts and beer steins with slogans like Wal-Qaeda and Wal-ocaust outside a Wal-Mart in, say, Paris. (Is there such a thing?) But Smith resides in Georgia, where he is free to thumb his nose at the world's largest retailer and create bizarre and disturbing images like the ones pictured here. After Wal-Mart told him to cease and desist, Stanford Professor Larry Lessig hooked Smith up with lawyers from Public Citizen and the ACLU, who helped Smith win a complete victory in March after a two-year battle against the mega-store. In an 82-page smackdown, a federal judge basically told Wal-Mart that 1) Smith is a parodist, 2) it's a free country, and 3) deal. Wal-Mart apparently paid $200,000 just to conduct a survey to measure alleged "consumer confusion," and probably paid millions to their Quinn Emanuel lawyers. And for what? Here's the best part: Smith sold all of 62 T-shirts, including 15 to one of Wal-Mart's outside law firms! Not exactly a weapon of mass dilution. (which law firm bought the shirts?? Inquiring minds want to know! Please email pics of any lawyers seen wearing Wal-Qaeda T-shirts.) Wal-Mart lost more than just money in this litigation: the judge ruled that the store has no common-law trademark claim to its yellow smiley face; that's not good timing, since the company's trademark on that symbol is being challenged at the Trademark Trial and Appeal Board. Speaking personally, I think the term "Walocaust" is a heavy-handed and unfortunate metaphor that's likely to offend folks with connections to the real Holocaust. Using a Holocaust reference to discuss anything that's not actual genocide just isn't helpful to anyone, including would-be parodists and critics. But Wal-Mart's attempt to label Smith as a lawbreaker for "diluting" and tarnishing their trademark is a good example of how trademark laws, like copyrights and patents, today reach far beyond their historical roots. Unlike copyrights and patents, which are monopolies granted as incentives to creators, trademarks are granted so that consumers clearly understand the true source of a good or service they're buying. We're all better off with only Wal-Mart being allowed to slap up a sign on its stores that says "Wal-Mart," because we know who we're buying from; but the thinking is, we're also better off knowing that if push comes to shove, we can always start selling Wal-Qaeda T-shirts. High Stakes at the 2nd Circuit: Google brings in the big guns for a keyword-advertising showdown in Manhattan. If the search giant pulls off a solid win in Rescuecom v. Google, it will be clear that selling trademarked keywords is perfectly legal, pro-consumer—and not so different than traditional advertising practices. Copyright revolt in Academia: How the Internet is shaking up the staid, and costly, world of academic publishing. Note: This post updated on 5/21 to include links to newly posted stories. Lots of folks are busily buying Christmas presents on eBay these days, but what ends up in company stocking, legally speaking, remains to be seen. The 2007 holiday season is shaping up to be a great one for eBay the plaintiff, and a not-so-great one for eBay the defendant. 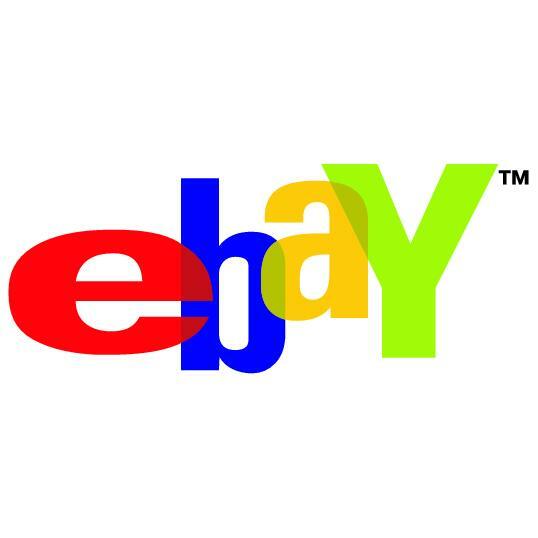 One month after eBay’s trademark victory at the 9th U.S. Circuit Court of Appeals against Orange County-based rival Perfume Bay, the online marketplace filed another trademark lawsuit on Dec. 5, this time against CoinBay.biz, an auction and sales site run by a Florida coin collector Bob Martino. eBay Inc. v. Martino, 07-cv-06172-CRB, N. D. California. I wanted to ask eBay if there was any relationship between the 9th Circuit win and this new lawsuit. My call to their spokesman went unreturned last week; which is understandable, since the company has some much bigger fish to fry (more below). The Perfume Bay case that went to the 9th circuit is Perfumebay.com Inc v. Ebay Inc., 04-01358-WDK, C. D. California. Martino didn’t want to get into specifics about the lawsuit or his negotiations with eBay, which are ongoing. He did say that the coin Web site doesn’t generate much income for him, and that coin collecting is his hobby, not his career. He suggested that he could be bought out at a price far lower than eBay's legal team, led by Cooley Godward Kronish partner John Crittenden. eBay thought that was so funny they suggested he could pay their attorney's fees after flying out to meet them in a San Francisco courtroom. Martino says he's complying with all the company's demands now. Martino also removed his "Buy Now" buttons, which eBay said infringed its "Buy it Now" trademark. eBay has waged a long campaign to keep the Internet clear of commerce sites that end in “Bay,” and such sites often get emailed warnings shortly after they go online. But Martino’s site has been operating under CoinBay.biz since June 2006, and he says he was only contacted by eBay a couple months ago. In the CoinBay complaint, Crittenden has the usual list of amusing "Generic + Bay" sites, including AlternaBay, EggBay, MexBay, and NaziBay. He has represented eBay in several other domain-name trademark cases, including the Perfumebay.com case. My piece in the Daily Journal about the 9th circuit decision in that case, "Another 'Bay' Goes Down to eBay's Trademark Punch," is reprinted here. Perfumebay.com Inc v. Ebay Inc., 04-01358-WDK, C. D. California. Perfume Bay was ordered to stop using the Perfumebay.com domain name; the company has since asked the 9th circuit for a re-hearing, and has appealed to let it keep the domain name while it appeals. Perfume Bay president Jacquelyn Tran maintains a blog about the lawsuit at www.MakesNoScents.com. So that’s eBay’s good news; the bad and possibly-really-bad news comes from the East Coast. The battle royale is a big trademark battle in a Manhattan federal court that should see a decision any day now. Luxury goods maker Tiffany & Co. sued eBay in 2004, saying the online retailer hadn’t done enough to root out counterfeit goods on its site. EBay says it does plenty and that Tiffany should take a bit of responsibility. WSJ Law Blog coverage of that is here. Tiffany (NJ) Inc. v. eBay Inc., 04-cv-04607-RJS, S. D. New York. The Tiffany trial is over, but the rhetoric seems to be hitting a post-trial peak. Tiffany filed a brief last week saying eBay was a “rat’s nest” of fakes; eBay says a bad decision could “wreak havoc” on its business and hurt Internet commerce generally. That decision could come any day now. In Virginia, eBay was ordered to finally pay up the $25 million plus interest it was ordered to pay in 20003 to MercExchange, a tiny company that claims it has patents covering eBay's "Buy It Now" online sales. That case ultimately went to the Supreme Court, and set a new, tougher test for when patent plaintiffs can get an injunction to kick a losing defendant out of a market. Mercexchange, L.L.C. v. eBay, Inc., et al. 01-cv-00736, E. D. Virginia. eBay really doesn’t want to pay this one. The patent tide has turned, and it looks like they want complete victory here. The company wants MercExchange’s patents to be re-examined under the harsh new light of a 2007 Supreme Court decision, KSR v. Teleflex, which said court have to apply a stricter test for what patents should be tossed out for being too obvious. I’ll have more to say about MercExchange v. eBay in the coming weeks. In the meantime, if the Tiffany case doesn’t go its way, Bob Martino’s new logo for CoinDay.com might be the best thing that happens to eBay this holiday season. Happy Hanukah.